The original ANDERIC RR1001S Pre-programed for Samsung Remote Control is in-stock and ships within 24 hours. 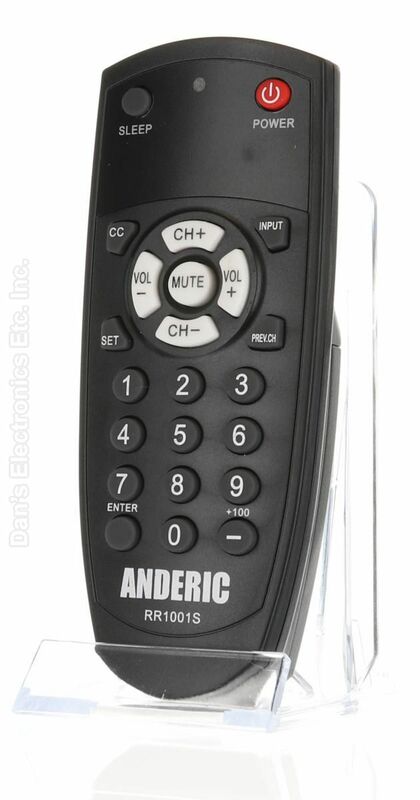 The original ANDERIC RR1001S Pre-programed for Samsung Remote Control carries a 1-Year Warranty. Anderic Hospitality RR1001S is a 1-Device Universal for all brand TVs. The RR1001S is preprogrammed for Samsung TVs. No programming required if for use with Samsung TVs. Pre-programmed to work Samsung TVs.